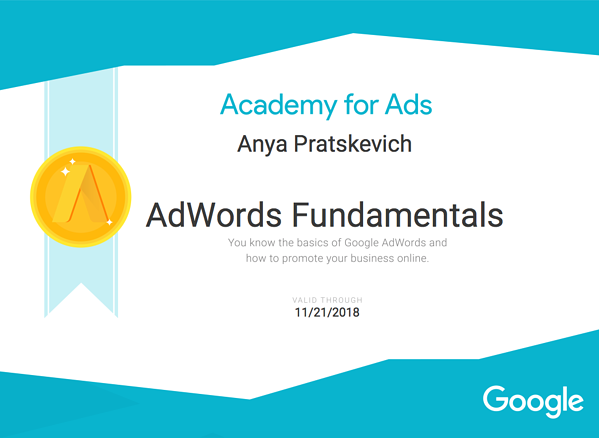 About half a year ago, I got my first AdWords certificate. It all began when we at AdStage found out that we needed at least two AdWords-certified people in the company to qualify for the Premier Partner Badge. Fairly new into my role back then, I was an easy target. If you're in the same boat right now, don't let the word "exam" scare you. 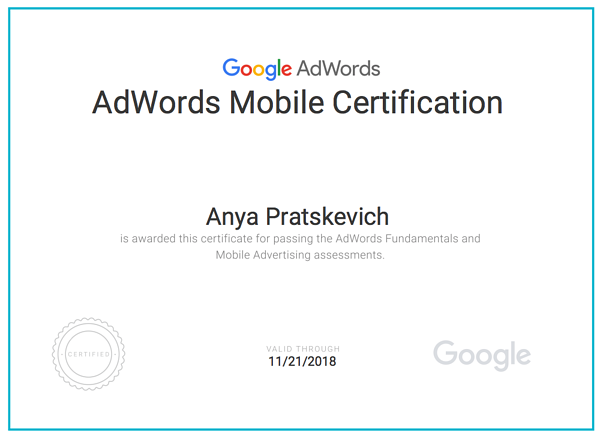 With a couple of simple strategies (and a lot of social pressure), I got my AdWords certificate in less than a week while working full-time. In just one week, you can make your mom and boss proud, too. Below you'll find the seven key strategies and study hacks. AdWords certificate is valid for 12 months. You can add to your LinkedIn profile. If you get a score of at least 80% on each exam, you’ll pass the assessment. It's good for a year -- you’ll need to retake both tests every 12 months to keep your certificate current. Which additional AdWords exam should you choose? If you’re a PPC practitioner, it depends on your goals. I spent two years working for a mobile app company earlier in my career, so I went for the Mobile Advertising exam. I’ve also heard from the agency friends that Shopping might be the easiest one. To get started, sign in to the Google Academy for Ads using your personal Google account -- or your corporate email address if you’re taking the exam as part of the Partner badge requirement. If you’re like me and work full-time, set up a realistic timeline and block the time on your calendar for studying and the test. Plan 3 hours for two exams (90 minutes each) and 1-2.5 hours every day, depending on how much you already know about PPC. I studied daily for about 45 minutes during my commute on Caltrain in the morning and after work. I also reviewed the guide for about 15 minutes before going to bed. 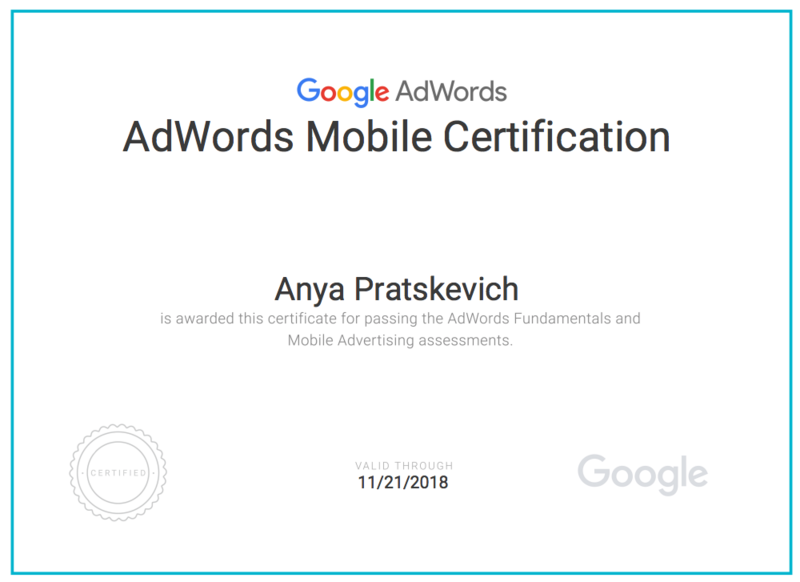 I split my time about 65/35 for the Fundamentals and Mobile Advertising exam, because I found that understanding the basics helped me better grasp the concepts in the additional assessment. My productivity stack: sleep, coffee, and the Pomodoro timer. Rescue Time -- a personal analytics tool to help you avoid distractions. Pomodoro Timer - you’ll find many web and mobile apps. 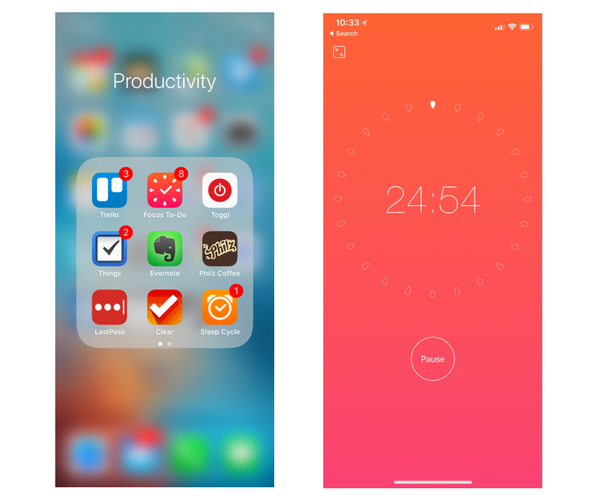 Mine is Focus To-Do for iOS. Pick any you like; they all work the same way: a timer breaks your work into focused 25-minute time blocks separated by a 5-minute break. After 4 consecutive working cycles, the app will time a longer, 15-minute break. If you’re new to AdWords, I’d start by setting up an account. Create a campaign or two, browse through the different types of reports, see where things are. While most questions on the test are covered in the study guide, this step will help you enrich your learning with context. For example, the answer to the question below is easy to derive from logic, but even faster if you download the AdWords Editor and attempt to access real-time data without WiFi. AdWords Editor is a free application that allows advertisers to make changes to AdWords campaigns while being offline. Which of the following actions CANNOT be completed when using AdWords Editor offline? If you walk away with just one lesson from this article, this is it. iPassExam is a subscription-based software program that has one of the largest online question banks for Google AdWords, Facebook Blueprint, Google Analytics, Bing Ads, and Adobe ACE tests. I owe this tip to Mike McEuen, a former agency marketer and PPC pro who was my boss at the time, but I was completely sold on the software when I found out that many Google employees are also fans. iPass question banks are designed to match the official Google study guide, which means you can quiz yourself after each chapter (or even before reading one). After long hours of work when I didn’t feel like reading about clicks and conversion types anymore, iPass quizzes were a somewhat fun distraction while riding back home on Caltrain. The web version works nicely on iPad. Each question comes with a brief explanation, a handy link to the guide, and stats on how other students did on the same question to benchmark your success. The annual subscription will cost you $99.99. It saved me many hours in preparing for the exam and was well worth it. I’ve seen online courses that guarantee your certification in just two days. It is doable. However, if you have the time, spread out your learning for each of the two exams a little every day, for at least a week. With just an hour a day, your preparation will almost feel effortless. Plus, you’ll remember things better. Just like with lifting weights at the gym, consistency and progress beats intensity. If you lift too much without giving your muscles time to rest, you’ll just end up sore. I love using flash cards, so I got myself a 100-count pack for less than $3 on Amazon. I used it for several courses I took on Coursera, for my AdWords certification, and still have a bunch of those left. Pro tip: According to Barbara Oakley, the author of “Learning how to learn,” handwriting builds stronger neural structures in memory compared to typing. AmazonBasics Ruled Index Cards, 3x5-inch, 100-Count. In my productivity app folder earlier in the article, you might have noticed a sleep tracking app. That’s no mistake. Sleep is my most powerful hack. If you’re short on sleep, you can’t think quickly and well, and your memory suffers. Sleeping also helps you strengthen your ability to focus -- which means less time for you to master the material. Good sleep is important throughout your training for the exam -- and critical right before the test to make sure you’re functioning at your best. Unlike with Facebook Blueprint Certification where you take a proctored exam, you can use your notes or the Google online guides in the Google AdWords exam. However, the time is limited to 90 minutes for each exam, and some questions are tricky, making it a little hard to Ctrl-F-search for things while taking the exam.